The University of Toledo has been selected to join a new national research network to study trends in low-level crimes to inform smarter criminal justice policies that enhance public safety, increase public trust in police, and save tax dollars. The Research Network on Misdemeanor Justice is run by the John Jay College of Criminal Justice in New York and funded by a $3.25 million grant from the Laura and John Arnold Foundation. UT is one of six universities in the country to join a national research network to study trends in low-level crimes. The study started in New York City. The John Jay College of Criminal Justice began focusing on misdemeanors in New York City years ago and is expanding the study’s scope to include six other cities. UT received a three-year, $169,000 grant to analyze local data and work with research institutions throughout the country. 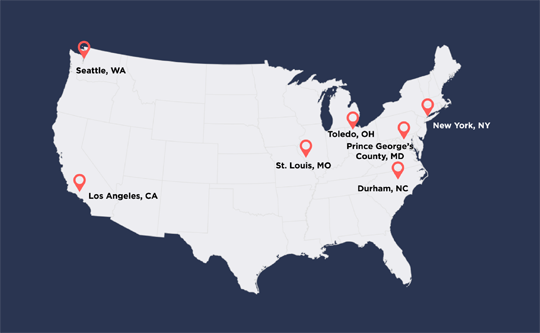 In addition to Toledo, joining the new national alliance with New York City are Los Angeles, Seattle, St. Louis, Durham, N.C., and Prince Georges County in Maryland for a total of seven jurisdictions throughout the country working together. 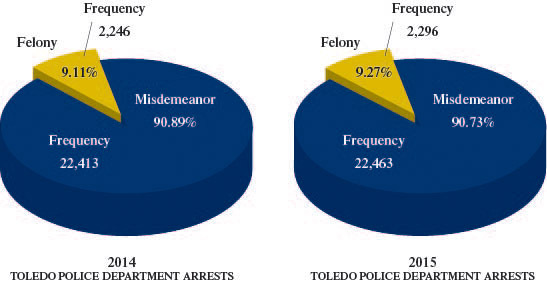 Misdemeanors accounted for approximately 90 percent of total arrests by Toledo police officers in 2015 when there were 22,463 misdemeanor arrests and 2,296 felony arrests. Toledo was chosen as part of the misdemeanor study out of 39 that applied, in part, because of the collaborations UT researchers already have with local law enforcement and the ongoing criminal justice reform efforts underway in Lucas County. UT researchers say many police agencies across the country do not know how many misdemeanor arrests result in incarceration. The University of Toledo will work with the Toledo Police Department, Northern Ohio Regional Information Systems and the Toledo-Lucas County Criminal Justice Coordinating Council as part of the project. Research partners for the Misdemeanor Justice Project also include the University of California in Los Angeles, North Carolina Central University, Seattle University, the University of Maryland and the University of Missouri in St. Louis. This entry was posted on Thursday, February 16th, 2017 at 8:00 am and is filed under Health and Human Services, News, Research, UToday .